Choose an event from the dropdown, create the message and click SEND in the toolbar. You can use the email tags shown on the right to dynamically insert data from registration records. This section allow you to create new custom email templats. 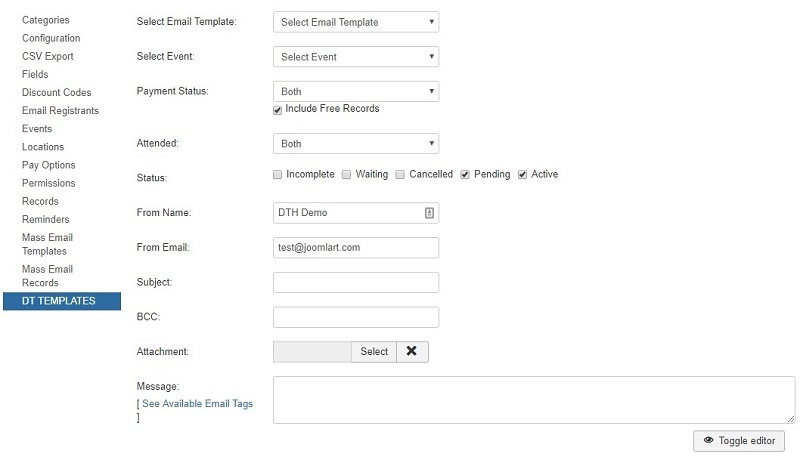 You can create different templates with avaialble email tags. This section allow you to edit the Email records.